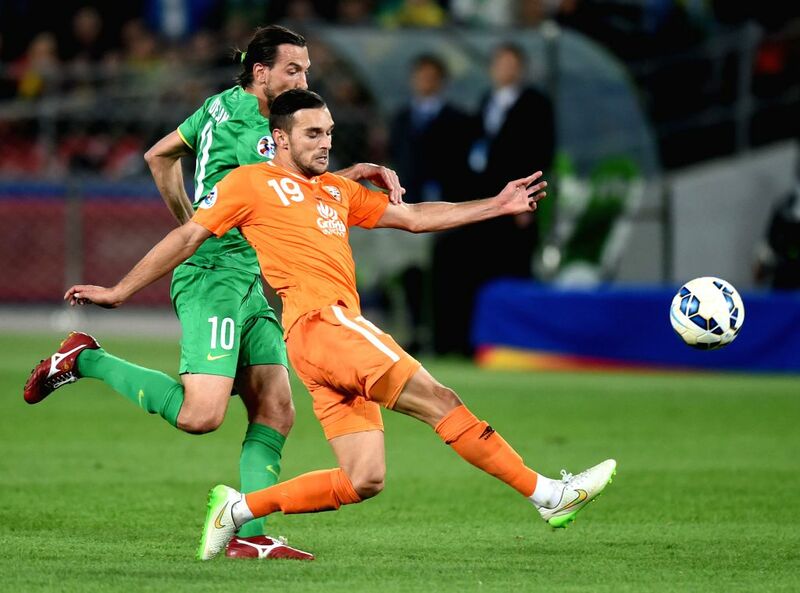 BEIJING, April 21, 2015 - Jack Hingert (R) of Australia's Brisbane Roar vies with Dejan Damjanovic of China's Beijing Guoan during a Group G match at the AFC Champions League 2015 in Beijing, capital of China, April 21, 2015. Brisbane Roar won 1-0. Andrija Kaluderovic (C) of Australia's Brisbane Roar breaks through during a Group G match at the AFC Champions League 2015 against China's Beijing Guoan in Beijing, capital of China, April 21, 2015. 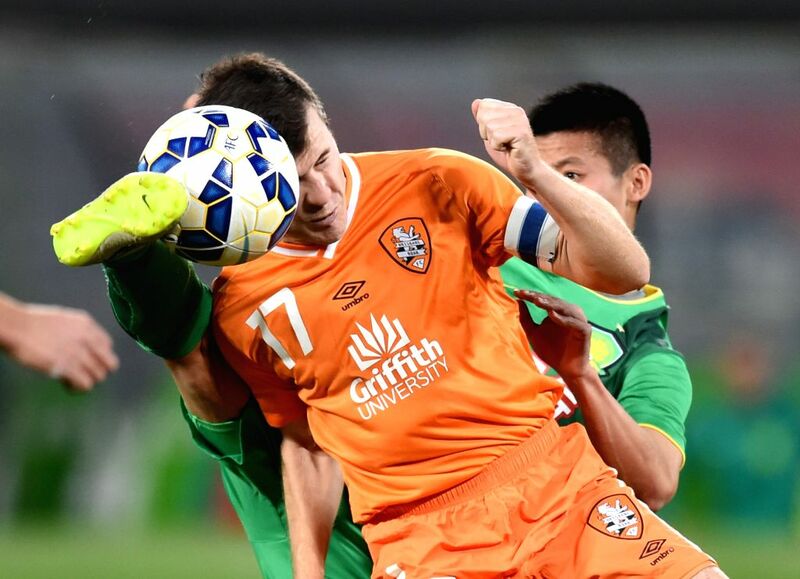 Matt Mckay (front) of Australia's Brisbane Roar vies with Chen Zhizhao of China's Beijing Guoan during a Group G match at the AFC Champions League 2015 in Beijing, capital of China, April 21, 2015. Brisbane Roar won 1-0.